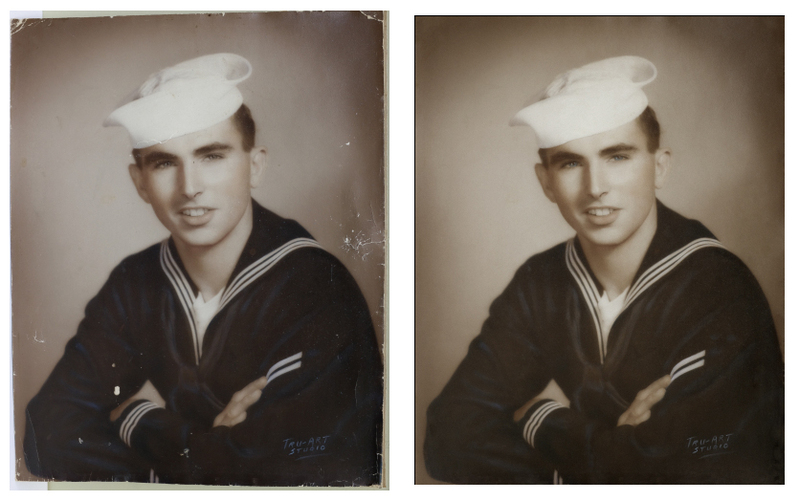 This nice photo came to us in need of restoration. It is a nice 11×14 black and white with a little color added. It was cracked, and yellowing. Here is a small before and after of this restoration.